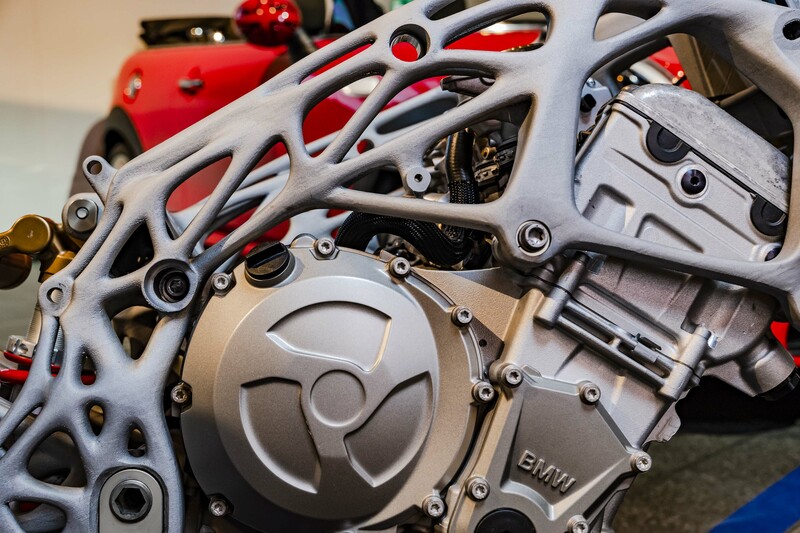 Not electric, but motorcycle and 3d printed - two out of three ain't bad. Being able to manufacture the metal only where it is needed and without the standard capacity for concern with how it is formed out of (relatively) normal shapes will re-define a lot of what we think we know about a LOT of things. Well, my son got his first "big boy job" and decided I needed to get onboard with this newfangled 3D printing hoo-haa for Chrimmas. I've already run out of filament. I'm just trying to upgrade my Sketchup now to export them there STL files and my pack will have the polycarb endcovers they've always deserved!